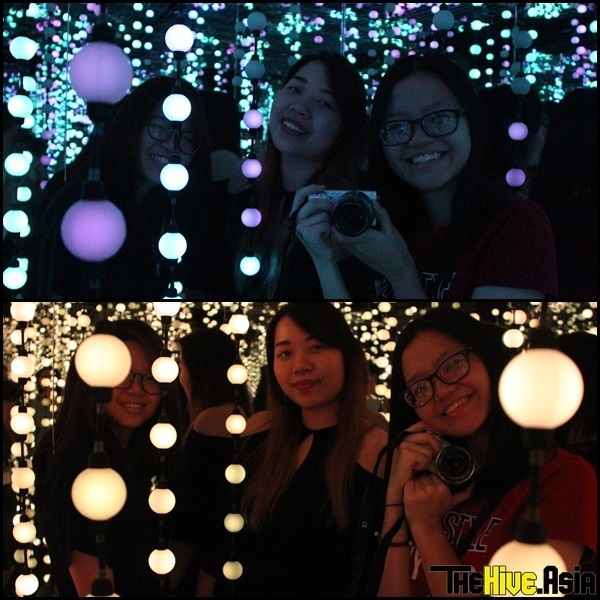 Follow the fairy lights and you will find yourself in the wonderful land of Artbox Malaysia. 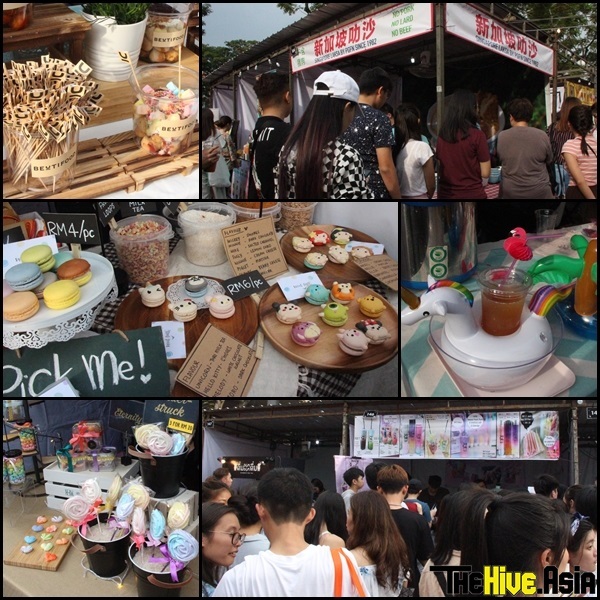 The creative night market, festively lit up by the 6 kilometres stretch of fairy lights crisscrossing from one end of the venue to another, made its inaugural launch last Friday and continued welcoming the enthusiastic Malaysian crowd for the rest of the weekend. Opening from 3pm to 11pm on Friday, Saturday and Sunday, the market is held for two consecutive weekends. Don’t worry if you missed the first weekend, just be sure to catch it this weekend because 16-18 November will be the final dates for them in Malaysia this year. With its easily accessible location (Sunway City Outdoor Open Air Parking), which is in close proximity to a shopping mall and several colleges, there’s no surprise that the event is populated by a mostly young, hipster crowd. Of course, anyone is welcome to join and there are families, from the grandparents to the babies, that include the market in their family outings. There are comfy seats and even hammocks placed at several spots at the venue to ensure that tired visitors have somewhere to sit down and rest their legs before continuing with their shopping. With about 300 vendors involved in the market, anyone enthusiastic enough can shop till they drop from the numerous stalls offering various types of food, clothes, bags, accessories and more. Organisers Ken Chai and Kent Teo told us Artbox Malaysia might venture out to other states. Organisers Ken Chai (Co-Founder & Business Director of Ad-nology Group (MY)) and Kent Teo (Founder and CEO of Invade Industry), who brought Artbox into Singapore last year, told TheHive.Asia that the vendors are mostly from Thailand, Malaysia and Singapore, and most have been with them since Artbox was first introduced in Bangkok. Other vendors at Artbox Malaysia include those from Indonesia, South Korea, Hong Kong and Taiwan. Expect to see Artbox possibly popping up in different states in Malaysia as the duo revealed that states such as Penang and Malacca have extended invitations to them to set up Artbox there. In the meantime, Artbox is enjoying a fruitful debut in Malaysia. Recognising just how big a foodie Malaysians are, food stalls take up a large portion of the venue of Artbox Malaysia. There is even a zone dedicated for food trucks, which is incorporated into the Malaysian version of Artbox since food trucks are all the rage in the food-loving country. No reason to go hungry with all this food around (though some are just way too cute to eat). The food zones are separated into either Pork-Free or Non Pork-Free and offer dishes and treats ranging from the super filling (think rice and noodle), super crispy (fried chicken), super sweet (cotton candy) to the super cute (Tsum Tsum macarons, multi-coloured drinks). This being a market whose concept originated in Thailand, there are of course several stalls offering Thai teas to quench your thirst as you stroll around the venue. Be careful not to photobomb anyone taking a photo of their hard-earned food, though. Yes, hard-earned. Be prepared to line up for at least an hour for that Instagram-worthy treat you’ve been eyeing – that’s just how well-received the night market is. 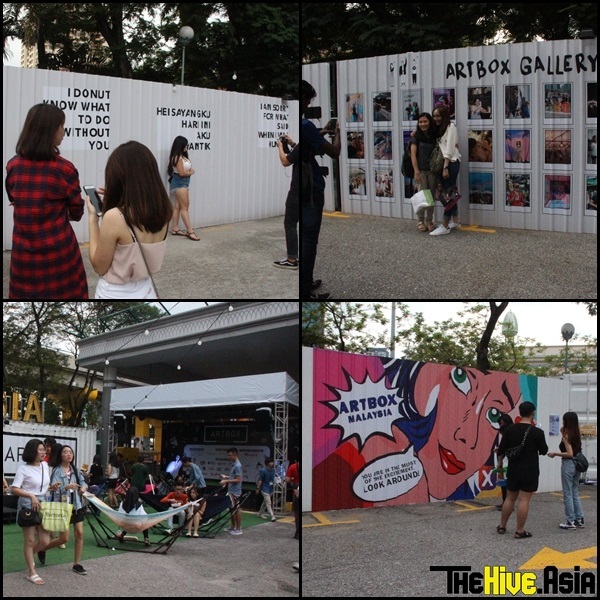 Food is not the only Instagrammable thing at Artbox Malaysia. There are various photo spots, most of them being the 15 repurposed shipping containers that have been colourfully decorated by graffiti artistes. Almost every corner of the market can be turned into the perfect IG spot. Different lights give off different effects in the Wowsome container. Some of these shipping containers also double as stores or in Wowsome’s case, a space for a colourful art installation which features strands of light-changing bulbs that allow visitors to take the coolest selfie ever inside the darkened container. There’s also a main stage where local acts hold performances to entertain the throng of shoppers at the market. There you have it, some of the highlights of Artbox Malaysia that you can look forward to on your visit. FYI, bring an umbrella or a rain coat. With the unpredictable Malaysian weather, it could start raining even as the sun shone brightly (speaking from our own experience during our tour of the market last Friday).